Everybody knows that Great Britain’s second most important contribution to geek culture (after Dr Who) is Games Workshop and its painfully serious Warhammer and Warhammer 40,000 IPs. Starting life as little more than incidental fluff for the company’s respective tabletop wargaming systems, both settings have grown into sprawling, intricately detailed universes with appeal far beyond their original remits and spanning all types of media. Warhammer and videogames may seem like natural bedfellows, and indeed, we saw a number of semi-successful experiments to that end throughout the ‘90s, such as Space Hulk: Vengeance of the Blood Angels, Dark Omen and Shadow of the Horned Rat. But only with the release of Relic Entertainment‘s seminal Warhammer 40,000 RTS, Dawn of War, did anyone but the most committed dice-slingers begin to take notice. As I’ve written about at length before, SEGA acquired Relic following the demise of THQ, inheriting the rights to Dawn of War by extension. Space Hulk: VotBA. In space, nobody can hear you scream unless you roll a 5+. 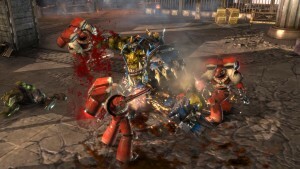 Fans have been clamouring for a sequel to 2011’s Dawn of War II: Retribution for years. Even before SEGA swooped in and Retribution shipped, Relic spoke candidly about their plans for Dawn of War III to Eurogamer on multiple occasions (here, here and elsewhere). Little has been said explicitly on the subject since, but a number of recent happenings suggest that SEGA may be looking to bestow the Emperor’s grace unto the faithful sooner rather than later. 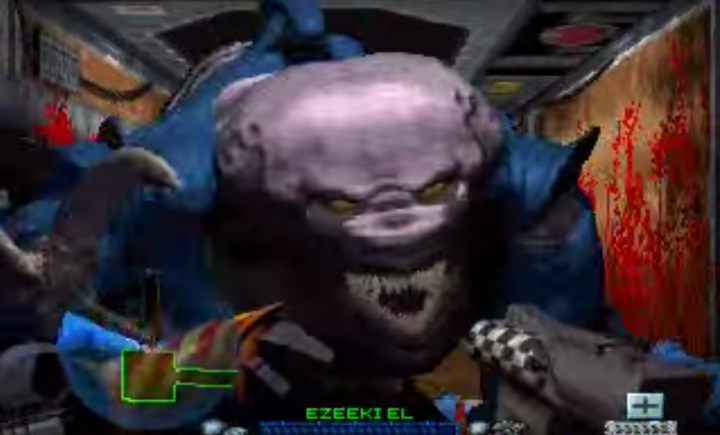 Boot any of the Dawn of War games on Steam now and you’ll notice a short SEGA title sequence has been added. Clearly this is intended to underline their ownership of the property, and while easy to write off as circumstantial, you have to wonder why they would bother if the series were simply going to be mothballed. The same could also be said for the fact that Steam Card support was added for Dawn of War II in July, and a free weekend and a few small morsels of DLC were given away in September. Furthermore, Halloween 2015 saw the release of the Ridiculously Blood Blood Pack, which adds unfeasible amounts vein claret to the game’s already brutal fights. SEGA also registered the dawnofwar3.com domain earlier this year. All of this suggests an effort to cultivate and maintain interest in the franchise while Dawn of War III gestates. But just what would a third instalment look like? Here’s hoping that Dawn of War III retains the series’ iconic Army Painter. 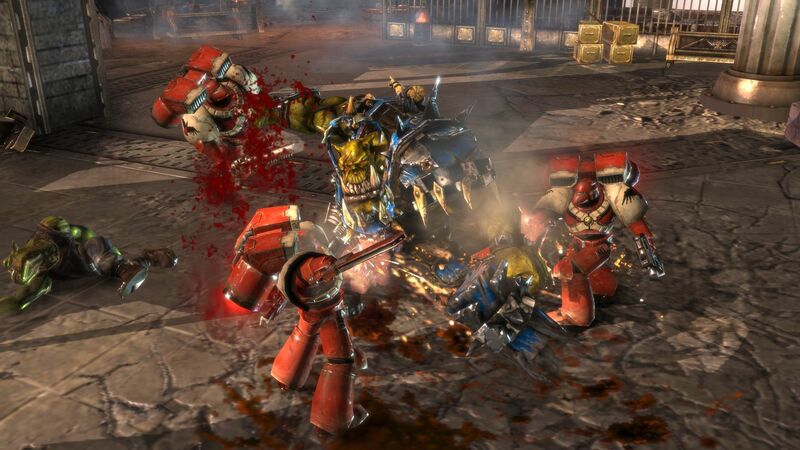 The first two Dawn of War games may look similar to the casual observer, but scratch beneath the surface, and you’ll find some pretty fundamental differences. 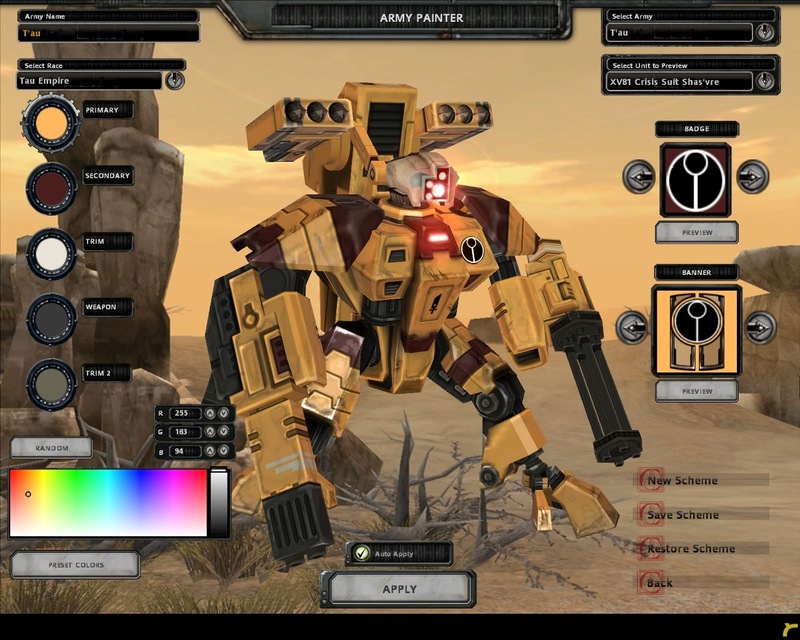 The first game featured Command & Conquer-style base building and the potential for quite large scale confrontation, whereas Dawn of War II had no base building at all, a far more scant unit limit and centered on WarCraft III–style hero units. Both were enjoyable and, personally speaking, pressing me on which I prefer is like asking me to choose a favourite child. We can’t see into Relic’s collective mind, but some kind of halfway house between the two might be the best approach, since many fans were disappointed by the aforementioned lack of base building in the second instalment. In terms of which armies might feature, the Space Marines, Chaos Space Marines, Orks and Eldar are all safe bets. The Imperial Guard, or Astra Militarum as they’ve since been renamed, were introduced in expansions to Dawn of War I and II, so their inclusion is also likely at some point. Relic certainly have a rich tapestry to draw on, but the trick will offering variety without drawing too heavily on the Imperium’s many quite similar sub-factions. Both games have always enjoyed thriving modding communities. 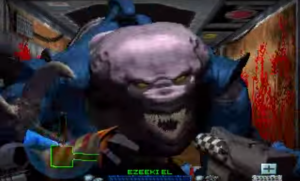 Warhammer 40,000 has been around for so long and been through so many reinventions that Relic are never going to be able to include everyone’s favourites. Ergo, it’s not surprising that amateurs have been busy filling the gaps for years; we’ve seen everything from visual tweaks and new factions to the brilliant absurdity of the Ultimate Apocalypse Mod. Dawn of War II looks delicious even today. But, with the rise of paid DLC, developers’ and publishers’ attitudes to the practice have begun to diverge quite dramatically. Valve and Epic, for example, embrace the modding community by actually helping them make money from their creations, but others such as Blizzard, have distanced themselves from the practice since gravitating towards an always online approach. It’s worth noting that the nature of the mods in question is clearly a factor here (nobody takes kindly to cheating), but I’m convinced that Dawn of War III will continue the series’ rich tradition of allowing and encouraging modding. There’s no reason that officially sanctioned DLC and fan-made content can’t co-exist peacefully. On the subject of post-release support, however, I’d urge Relic not to outsource official offerings as they have in the past. The original Dawn of War’s final expansion, Soulstorm, was helmed by Iron Lore and is a definite low point, with its poor balance and truly half-arsed representations of the Dark Eldar and Sisters of Battle. I wouldn’t necessarily count on Dawn of War III including any meaningful single player component. A growing trend in strategy gaming towards uber competitive MOBAs, (of which Warhammer 40,000 will soon have one all of its own, Dark Nexus Arena) and e-sports has left little place for the OTT cutscene-heavy exposition and hammy mission objectives of old. A story-light co-op campaign isn’t beyond the realms of possibility, however. 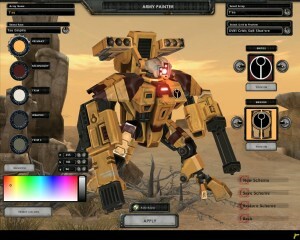 Relic also brought us 2011’s Space Marine. Will SEGA ever greenlight a sequel? Dawn of War has, up until now, followed the old-school PC gaming business model of offering a core product followed by (relatively) high-priced expansions, although some largely cosmetic piecemeal DLC is available for Dawn of War II. Given the current PC gaming climate, it’s tempting to assume that Dawn of War III will be free to play. But the fact that SEGA are releasing the upcoming Total War: Warhammer as a full-priced, ‘all-in’ offering shows that they believe that strategy games can still be successfully monetised in this way, so I’d expect Dawn of War III to follow suit. Unless Total War tanks, that is. 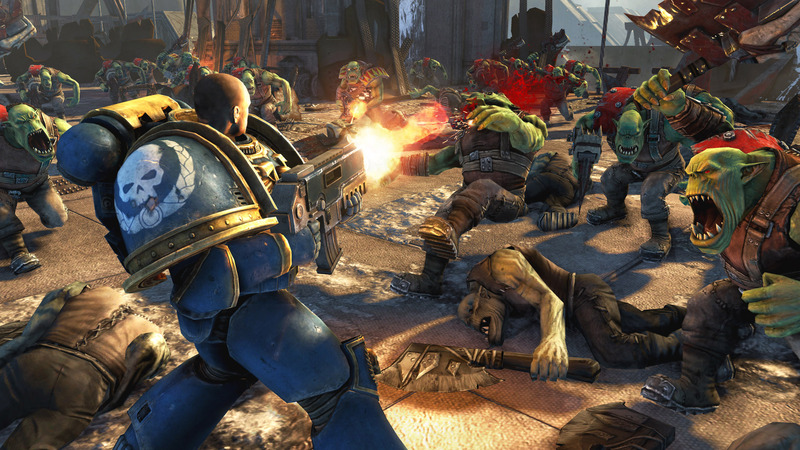 Will SEGA’s stewardship make any difference to Dawn of War III? Probably not in gameplay terms as, let’s be honest, SEGA aren’t known for their RTS chops. That isn’t to say that they don’t have anything to add, but rather that I’d expect their input to be more on the commercial and/or promotional side of things. In other words, they’ll be keen to ensure that the game succeeds, but leave the specifics up to Relic. As I touched on earlier, real-time strategy has been in terminal decline for a number of years now. StarCraft has been unseated from its e-sports throne by League of Legends, Square Enix ruined Supreme Commander and Command & Conquer is currently stuck in some kind of APM-bothering purgatory following an abortive F2P venture. SEGA and Relic may not be able to save this once PC stalwart from going the way of the dinosaurs, but along with others such as Act of Aggression and Legacy of the Void, might just give it the eulogy it deserves. And when that day comes, the fallen shall be forever remembered as the Emperor’s finest.